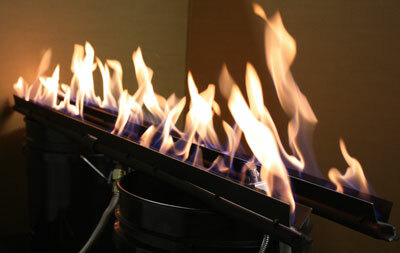 Here is a pair of 50" inch ribbon burners, to be installed in front of other to create two walls of fire. 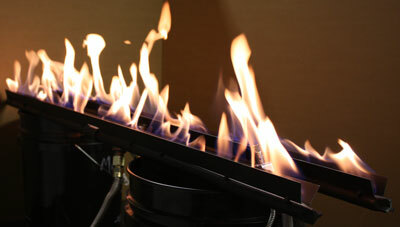 Powered be an electronic ignition system they are to be installed in Santa Barbara California. 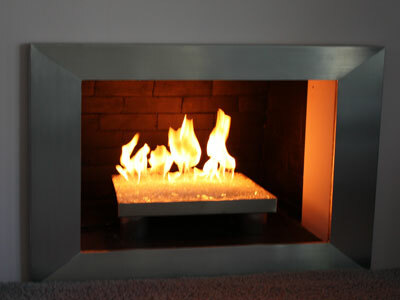 Our customer provided us with an exsisting curved pan, of which we then designed this custom (304) Stainless Steel Propane Ribbon burner to fit perfectly in it. 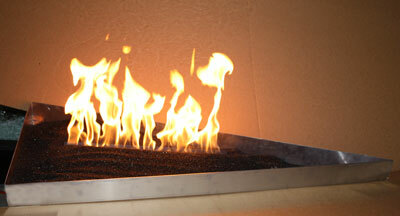 The next pictures are of our 18" ribbon burner in a stainless steel pan. 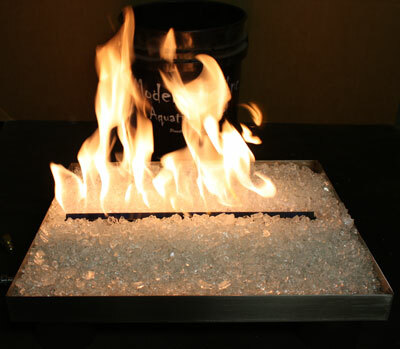 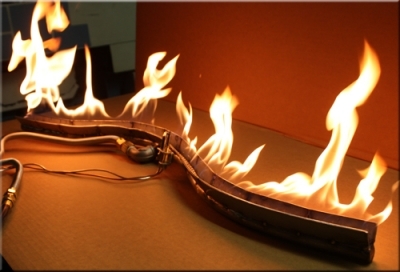 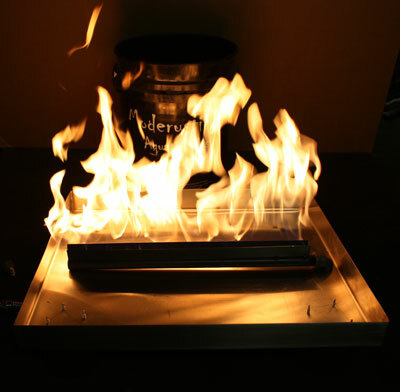 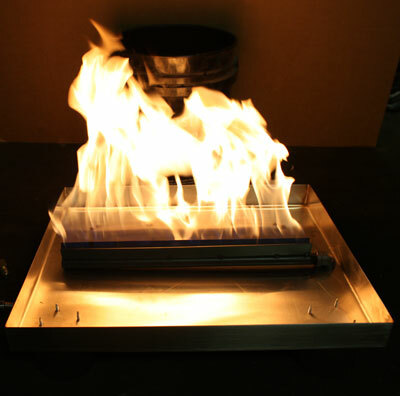 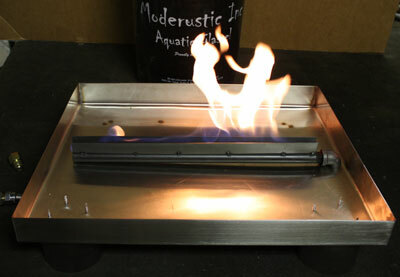 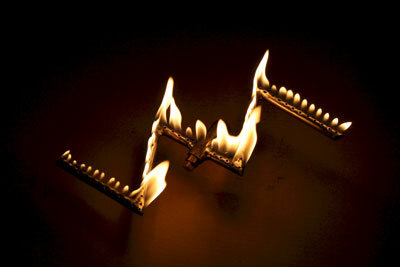 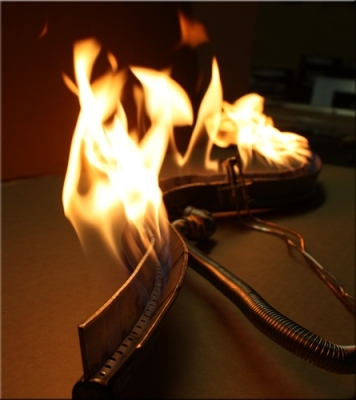 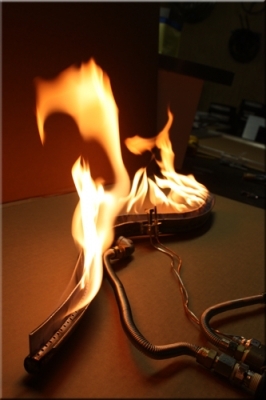 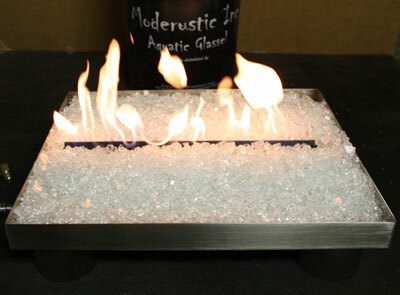 Our ribbon burners can actually raise the flames quite a bit! 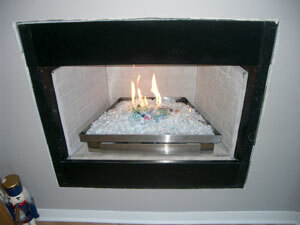 The pan was filled with Starfire fireglass. 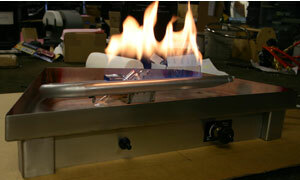 Here are the customer pictures of the ribbon burner and pan in place. 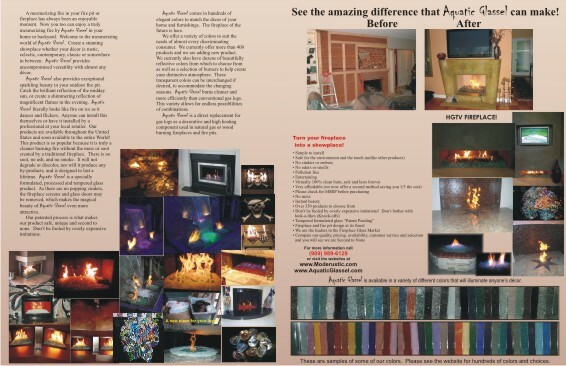 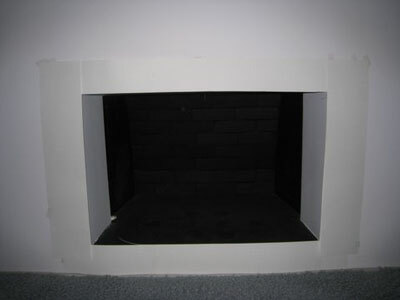 The first 2 pictures are of the fireplace before we started. 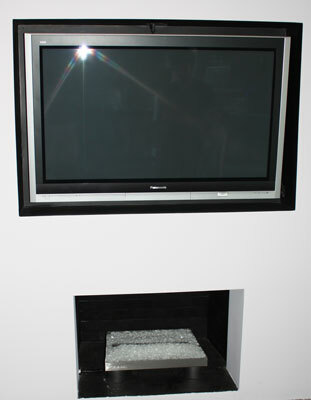 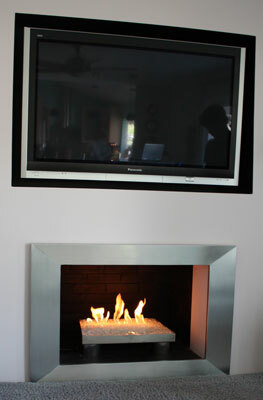 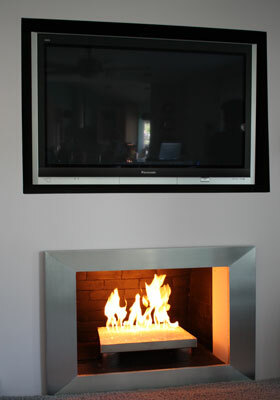 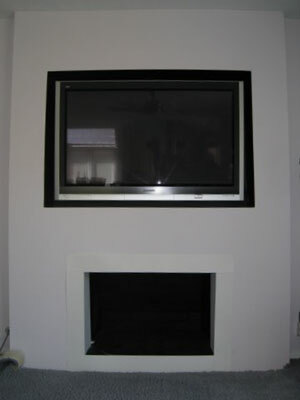 The wall was built out 8" for the flat screen above the fireplace. 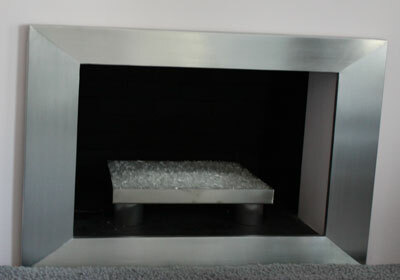 The pan is now installed in the fireplace. 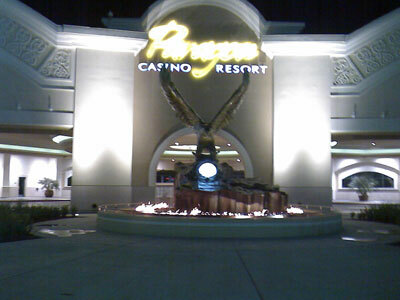 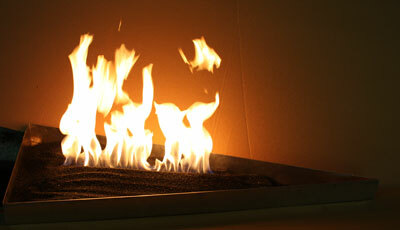 You'll be able to see the different flame patterns the ribbon burner generates. 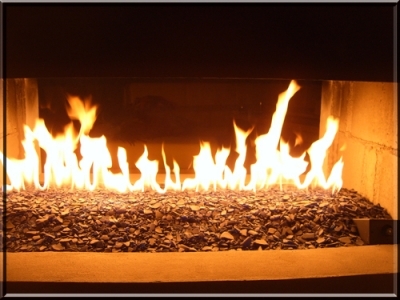 Add now for a little fire. 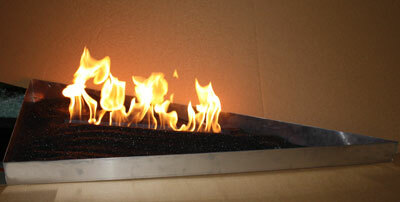 The next several pictures are of a 24" x 54" x 3 1/2" deep triangle pan with the first Ribbon Burner we ever created! 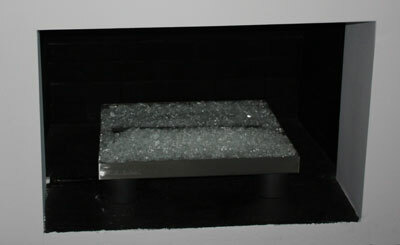 It's in a bed of black silicone carbide "Black Magic" . 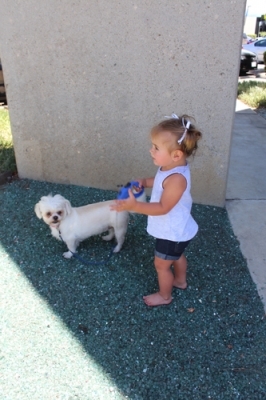 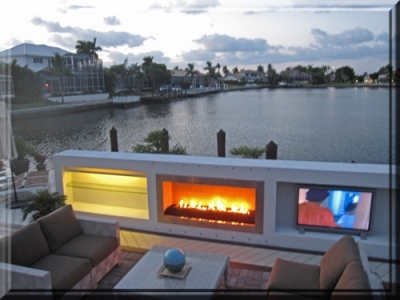 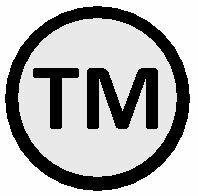 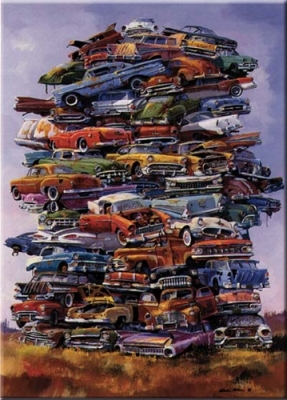 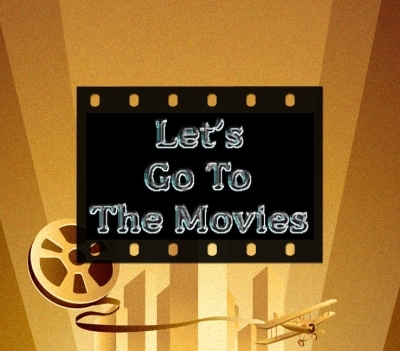 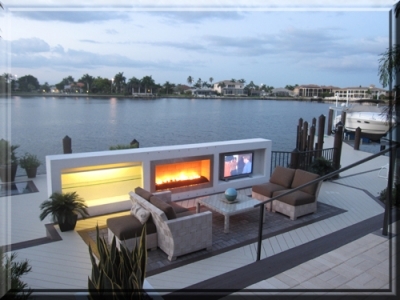 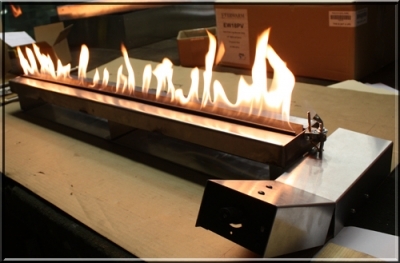 We can build these in any size, shape, material and in natural gas or propane. 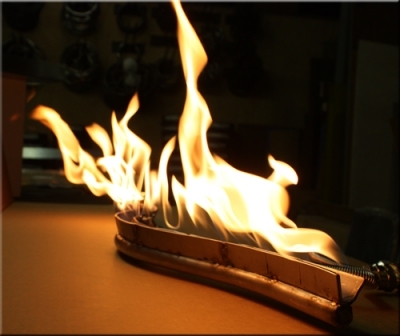 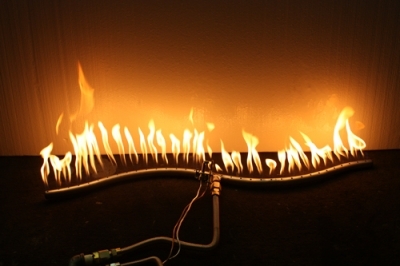 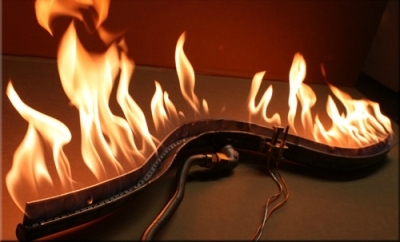 A ribbon burner essentially converges all of the flames together making it look like a ribbon of fire. 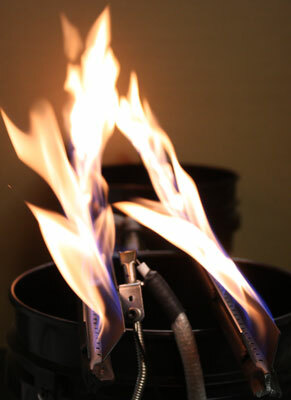 Ribbon burners can be fabricarted in steel or stainless steel; with or without a pan. 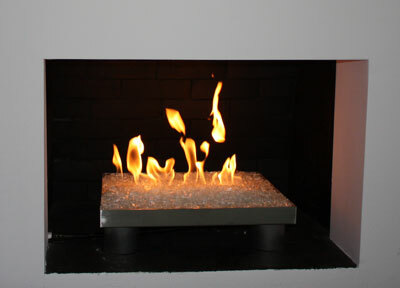 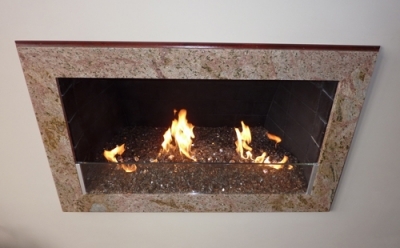 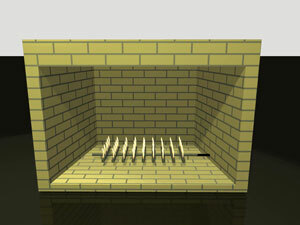 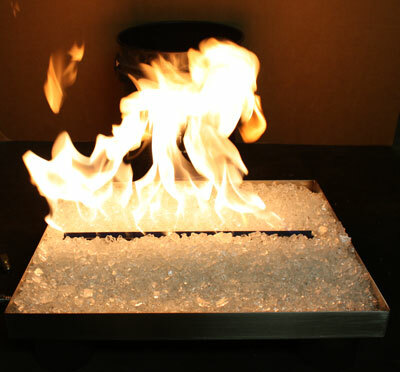 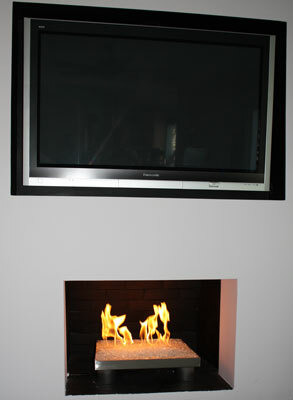 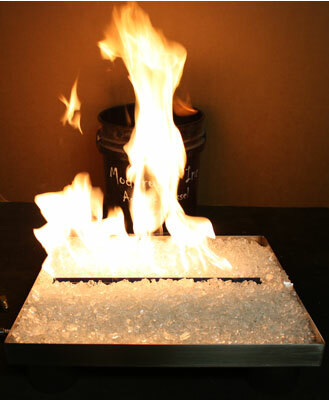 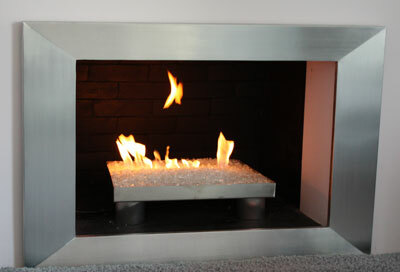 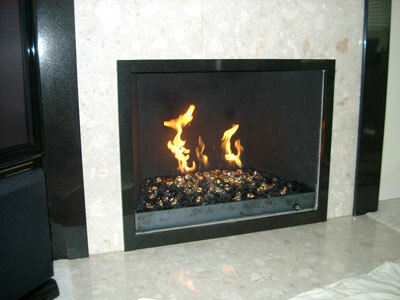 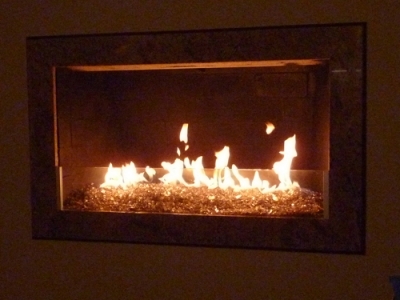 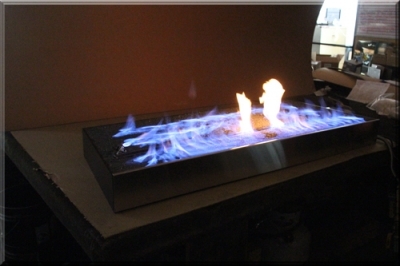 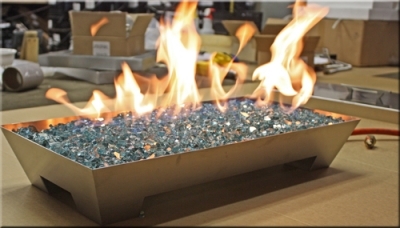 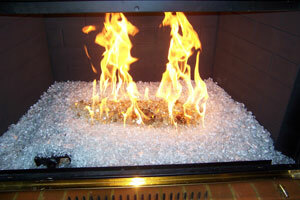 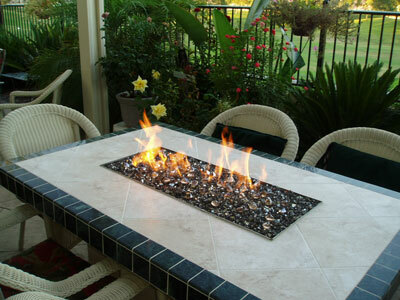 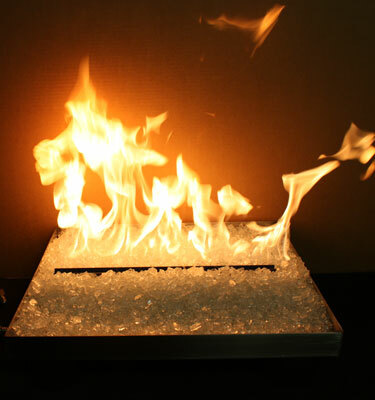 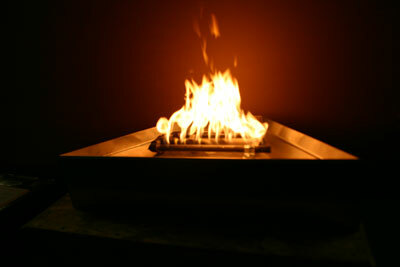 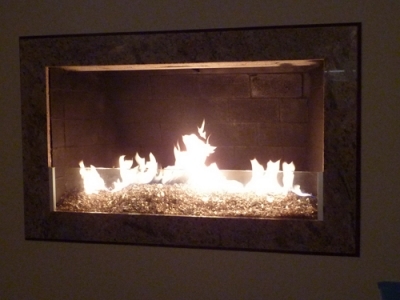 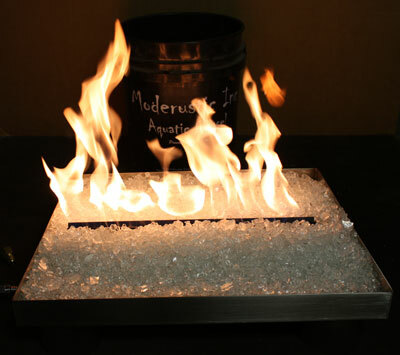 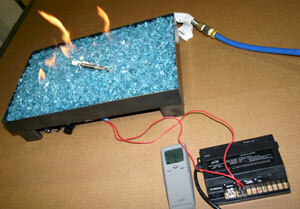 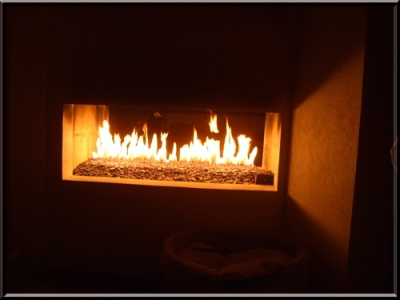 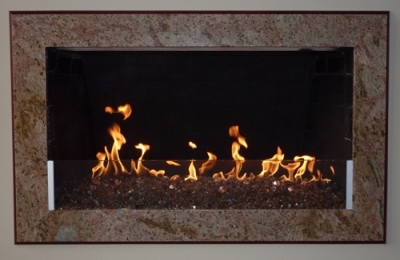 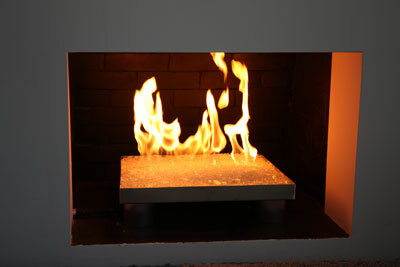 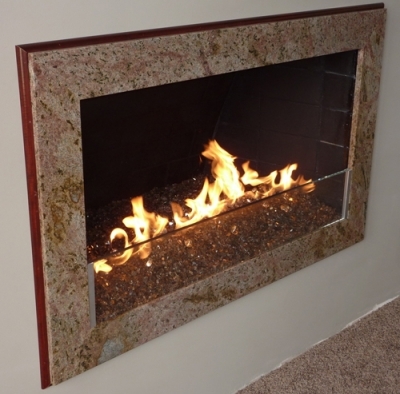 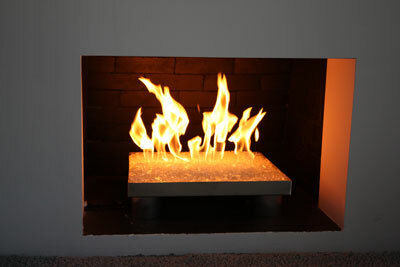 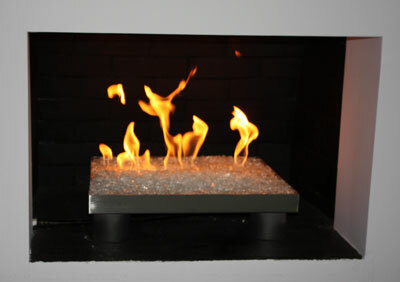 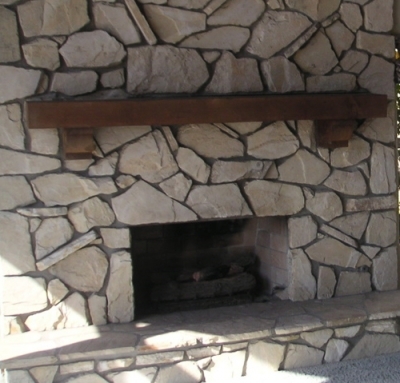 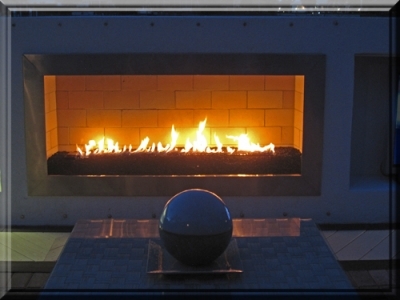 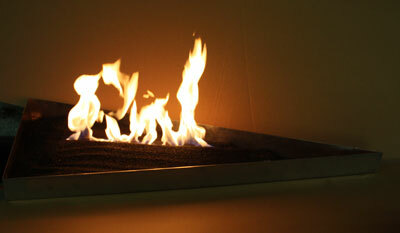 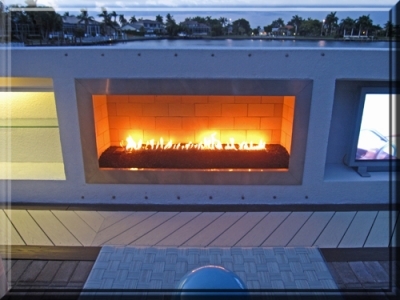 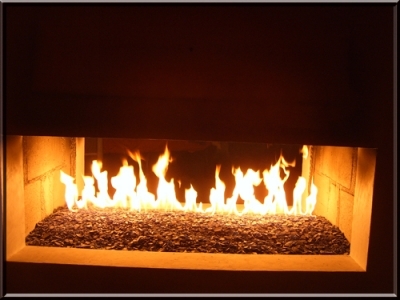 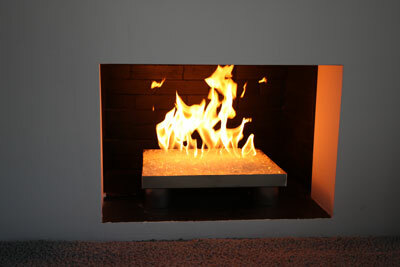 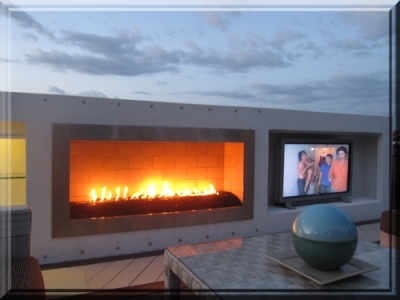 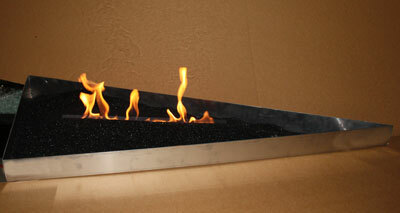 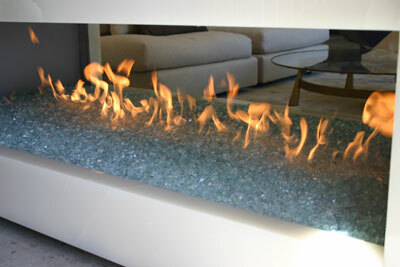 This burner was built for a customer in Palm Springs for their fireplace.